Royal Rajasthan Trip: The Magical Land "Rajasthan"
Rajasthan is one of the 26 states of the Incredible India. It is located in the north western part of India. It is the largest state of the Incredible India in terms of area. Rajasthan is bounded by the State of Punjab in the north, by Haryana in the north-east, by Uttar Pradesh in the east, by Madhya Pradesh in the south-east and Gujarat in the south-west. Rajasthan is the Magical Land of Thar Desert, surrounded by beautiful Aravalli hills Range, a land of Forts, and a land of ancient civilization in the banks of disappeared Sarsawti river. Rajasthan is one of the beautiful states of India which attracts very large number of domestic and foreign tourists. Jaipur the pink city of India is the capital of Rajasthan. 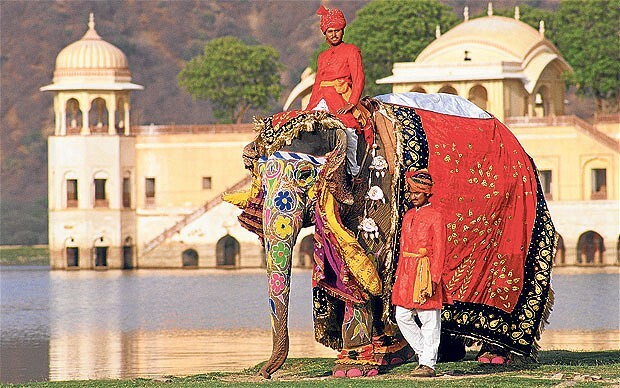 History of Rajasthan has a rich and colorful history making it one of the most popular tourist destinations in India. Rajasthan was once a part of the world's first and oldest Indus Valley Civilization. Rajasthan was earlier called Rajputana (state of Rajputs) after the ruling class of Rajputs. It has a glorious history like Bappa Rawal, Gora - Badal, Samrat Prithvi Raj Chauhan, Maha Rana Pratap, Veer Durga Dass Rathore, Amar Singh Rathore, Rani Padmini, Rao Shekhaji, Meera Bai , Panna Dhai , Gogaji , Baba Ramdeoji and many more.